Time to reboot your business and get back to basics? Sometimes it's good to remember why we started something in the first place. To remember the little things we did to get our momentum going and repeat those. Day after day, week after week. Remember, success is a result of small, purposeful actions we do consistently over time. That's what this challenge is all about. I hope you'll join me in taking on this challenge to be more purposeful (and less random), to be more consistent (and less of a procrastinator, and to be more persistent (and less excuse making). Not only will you be rewarded with your success, there are prizes you can earn along the way! YOU can take your business where you wanted to be from the start!!! 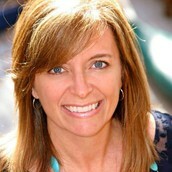 Earn spring products for booking, recruiting, and selling! It's that simple! When you book and hold parties, add new team members, and increase your personal volume, it's always the result of being intentional with your business. We'll have a different focus for each month, starting with the home party. 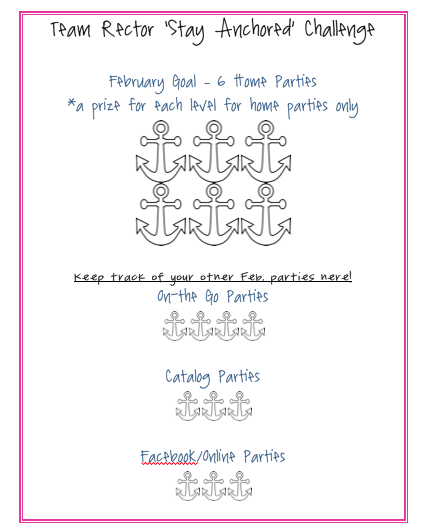 For each home party you book and close February, you'll receive one of the anchor products from the spring catalog. Keeping Track of your Progress! 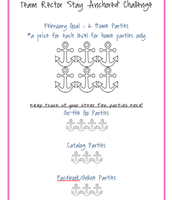 Use this tracking sheet to keep track of the different types of parties you close. Remember, home parties are our "bread & butter" and are what we are focused on for Feb.. The others are just icing on the cake!